It’s never too early to save for retirement. In fact, the earlier you start saving, the better as current information regarding US Social Security raises multiple questions regarding the program’s solvency for future retirees. Thus, it’s up to you to take responsibility for your future and start saving now. 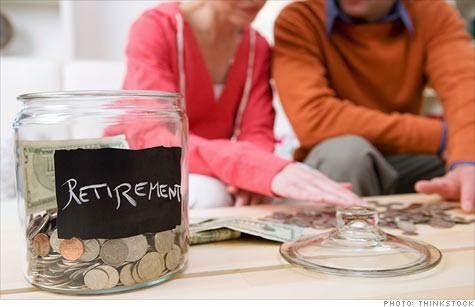 There’s more to retirement than mindlessly stashing money away in a savings account to which you pay little attention. Create a plan for your retirement by creating a monthly budget and settinggoals. Start by asking yourself where you want to be financially when you reach retirement age, and then educate yourself on the best way to achieve those goals. Individual retirement accounts are perfect for any individual looking to start their retirement savings, and you have the option of either a traditional IRA or a Roth IRA to choose from. Each have their benefits, and a certified financial advisor can help you decide which one is right for you. What’s more, you can roll over any retirement savings you have from old jobs into these retirement accounts so that your money continues performing for you. If you aren’t participating in your employer’s 401K plan for retirement, you should be. Many employers offer these plans with matching contributions. Every pay period, you put a percentage of you paycheck into the savings plan and your employer matches your contribution. Keep in mind, however, that employers typically require a minimum amount with regards to your contribution in order for them to start matching, so find out what that is and take advantage of it. If you are sufferingcrushing debt from multiple bills, this can severely disrupt your ability to cut costs in the long run. As such, there are ways you can consolidate you debt and eliminate needless expenses. In fact, some loan institutions offer you the ability to receive a 2000 cash loan to help you combine you debt so that you only need to focus on one bill a month. Remember, however, this is a loan. The faster you are able to pay it off the better so you can free up cash for retirement.You don’t want to wind up in an endless cycle of debt. Find where to cut expenses in your budget, and start cutting. Applying for a better paying job offers you the chance of more cash to stash away in retirement savings. If you have years of experience in a field that can transfer over into a better paying job, take advantage of the opportunity. Overall, remember: be resourceful when it comes to saving money. There are many ways to boost your retirement fund, and the above list is just a small sample of what you can do.